Local Government Procurement (LGP) is the preferred provider of procurement services for the Local Government sector in New South Wales. 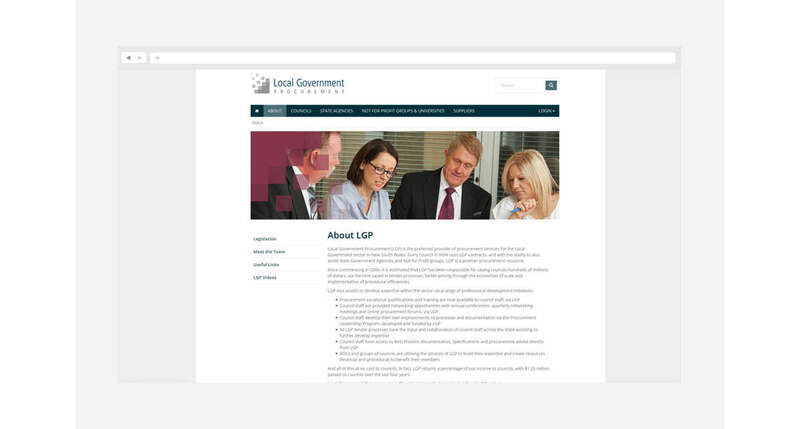 Every council in NSW uses LGP contracts, and with the ability to also assist State Government Agencies and Not for Profit groups, LGP is a premier procurement resource. Since commencing in 2006, it is estimated that LGP has been responsible for saving councils hundreds of millions of dollars, via the time saved in tender processes, better pricing through the economies of scale and implementation of procedural efficiencies. 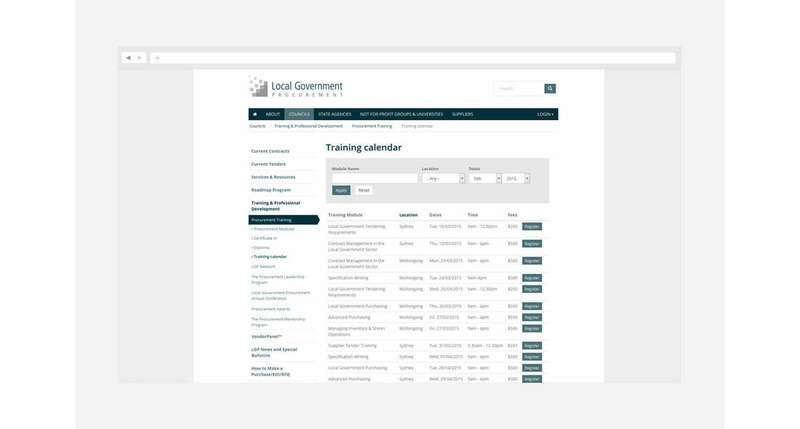 Neubreed was engaged by Local Government Procurement to reduce the amount of inbound phone calls that LGP receive due to the complexity of the website, and to create a website that improves the user experience. Local Government Procurement commissioned Neubreed to develop a clean, fresh and modern design for the website to help users identify the information they need on the website more readily and improve the user experience and reduce the pull on their administrative resources. Using existing LGP branding elements, Neubreed developed a user-focused website design with emphasis on clear navigation elements and search elements. 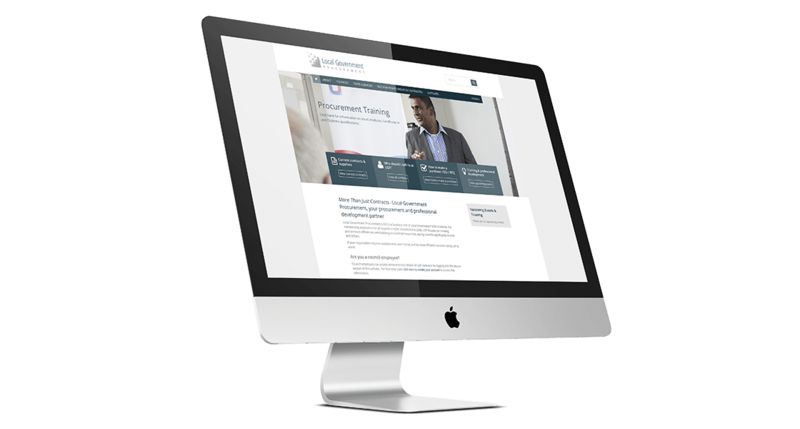 Through the re-organisation of information on the website we were able to move towards more of a user-focussed approach, condensing page length and providing a more natural flow to the site. 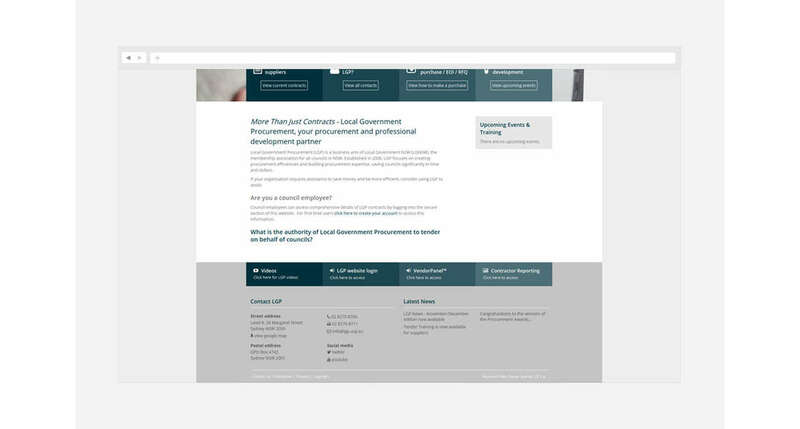 We developed a contract management back end, fully integrated with their website which LGP staff use on a daily basis. Built completely with Drupal it has many integrated features that streamline the creation and management of contracts. With content authoring work flows, complex content types, document library and user role access visibility and much more, the LGP back end is a great example of what we can achieve with Drupal.